Image: NaokiKim/Getty Images, laartist/Getty Images. Design: Kenzie Mastroe/SheKnows. We can’t be the only ones who have been plagued by the earworm that is “Baby Shark,” and sometimes, the only thing that will get it out of our heads is a stiff drink. Well, Applebee’s seems to know this, and they’re offering up something that’s equal parts cure and curse: a frozen Mucho Shark Bowl drink that’s topped with a gummy shark. Bite into it, and let out all the aggression you’ve felt toward that unrelenting little “Baby Shark” song. The cocktail is a frosty blue concoction spiked with Captain Morgan (the appropriate booze for any and all sea adventure-themed drinks) and flavored with tropical fruit juices. One drink will set you back around $7.50, but let’s be real — you’ll probably end up drinking at least two. After all, you’re in an Applebee’s. Pair it with an order of Double Crunch Shrimp or cedar-plank salmon with maple-mustard glaze, and you’ll feel like a pirate dining in style on the open seas. Of course, if you really want to make like a buccaneer, you could be chugging down one of their massive Captain and cola drinks. They’re the Neighborhood Drink of the Month, meaning each one costs just $2. That’s less than the cost of a regular glass of soda at most restaurants! 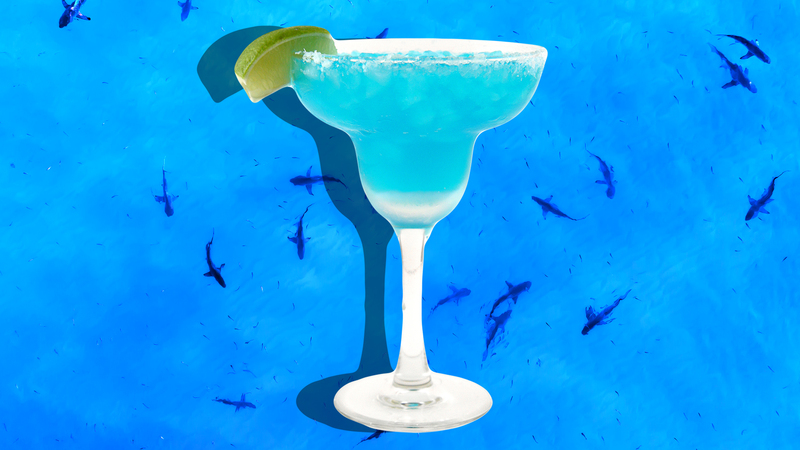 The Shark Bowl will be available for a limited time only, so scrape together those Applebee’s gift cards you got over the holidays and head on over so you can drown your sorrows (and a gummy shark) in one of these frozen blue behemoths. Just remember to take an antacid first.